Another visit to Goa and another interesting experience. In my endeavour to peel away the touristy layers of Goa, I struck oil last week – if you pardon the ungainly mixing of metaphors. And ended up at the courtyard of an old Goan house (read Portuguese, since I haven’t been able to see much of Goa’s pre-european heritage). Armando Gonsalves has converted his old house into a venue for regular jazz and fusion music concerts. There were a bunch of Spanish musicians that evening. It started with Basque twins, Sara and Maika beating out some nifty rhythms using the Txalaparta (closest pronunciation being tchalaparta), which is basically an ensemble of unlikely everyday stuff, including pieces of wood and stone. Followed by The Toumie Vila Seseca Trio on more traditional instruments. I went with Savio & Pirkko and Pirkko’s visiting folks from Finland. The crowd was mostly Goa’s India refugees and booze flowed bringing forth its unique brand of mellow cheer. Everyone, as you can imagine was in a good mood, in which alchemy, Spanish music added the final dash. It was a lovely evening. And as often happens, it is in such unlikely circumstances that you get these blinding flashes of insight that change your life for ever. It happened to me too. I learned that starting the evening with a large whiskey is probably not a good way to start any evening. Especially if you plan to go a long way. 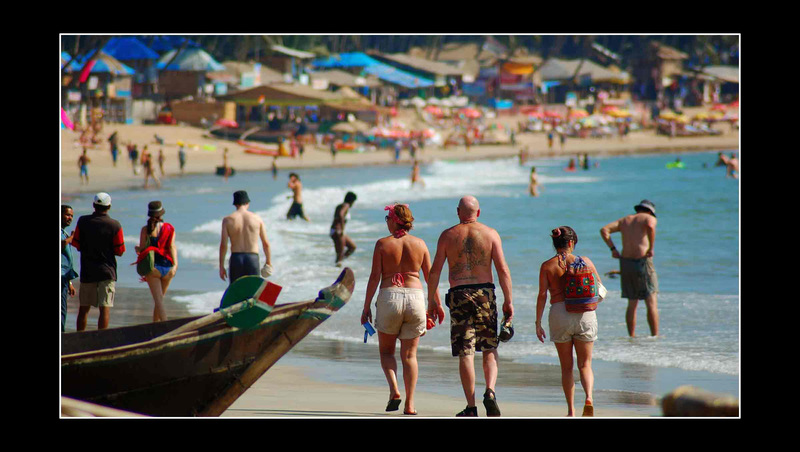 Stop Press : Go to Goa NOW! Goa has had unseasonal rains. It rained loads in August instead of the usual June & July. And so, it looks extraordinarily green & lush now, with a wonderful ‘fresh & clean’ look. I was there for just one day over the weekend and had the good fortune to wander all over the Goan countryside just as dawn was breaking (all of this, after a full night of unique Goan revelry, which of course, is another subject). The sight of light breaking over the lovely greenscapes of rural Goa, with the light mist slowly lifting in tendrils from the ground and the fresh smell of the damp red earth awakening to another day, is one of the more mystical experiences of life. Go right away, even for a day to Goa. Once you get there, dont hang about near the sea. Go inland and check out Goa’s rural landscape. Obviously, all this has to be done between 4 and 7 am. You probably have a window of a fortnight to see this. Nagesh, the engineer turned photographer + cinematographer has been at it again. 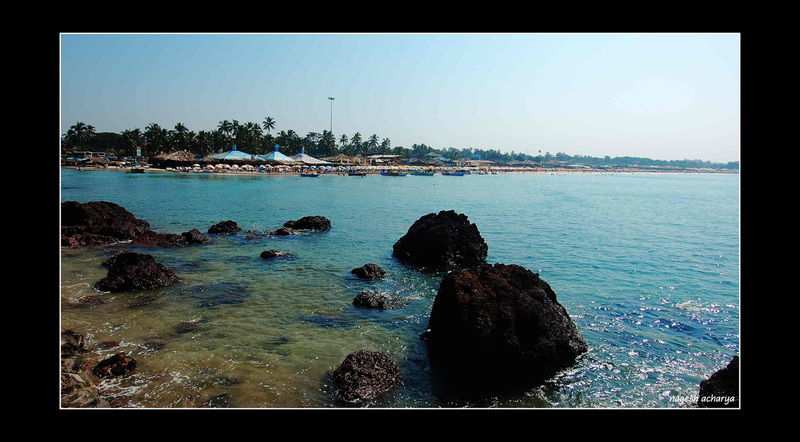 Photographing Goa in between a hectic schedule of shooting a movie there. Here are some of his recent snaps – click on any snap to see it in full size glory. If you would like to ask Nagesh any questions or leave him a message, please use the comments box in this post – I will forward it to him. As I set out for another trip to Goa, albeit for work this time, I am once again reminded of Roy’s narrative of the arrival of the first Hippies to Goa. Roy was all of 15 then and he was thrust into the roller-coaster world of ‘flower power’ Goa. By 1967, Goa was the final destination in what Rory Maclean calls the ‘weirdest procession of unroadworthy vehicles ever to roll and rock across the face of the earth’ – the great overland trek by western youngsters turning their face to the two Cs that dominated their lives, Capitalism and Christianity. 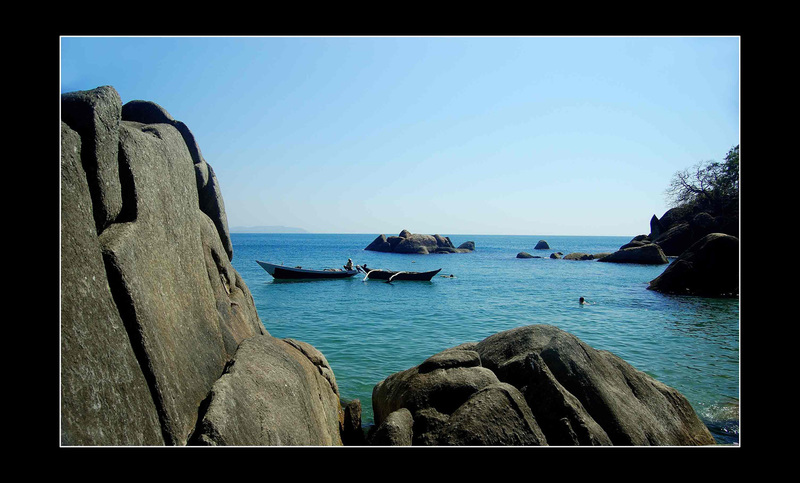 As Goa gets overrun with an increasing array of tourists – a heady mix of Indo-gangetic plainsmen meeting the walrus moustaches from the Russian steppes, it is easy to forget that this land has an interesting claim to contemporary history. Click here for an earlier post featuring hippies. And here for all my Goa posts. Among all the experiences I have had travelling across the world, gently sailing on a lake in a canoe expertly handled by a dimunitive Finnish lady, listening to the enveloping sound of stillness of village life in Goa, with only the pant of 2 swimming dogs as symphony, must surely rank pretty high. It was about a month ago that I found myself peering straight ahead from the bow of a little canoe in a lake set amidst the verdant and extremely quiet landscape of Olaulim, Goa’s wonderful little village I had written earlier about.